I was born with a seed. It was the seed of music. It was passed down from my parents, whose seeds were passed down to them from their parents. I think we are all born with a special seed of some kind, and they are all different, which is a beautiful thing. And there are special people that are in our lives that are placed there by the Lord to water and cultivate our seeds at certain times, just when we need them. These people also teach us how to water and cultivate our own seeds (one time I almost let my seed dry up…read about it here). When I was in the eighth grade, the Lord sent two very special seed-cultivators my way. Our church called a young new youth minister and his wife to come and teach our high school students. His name was Thomas Hyche, and his wife was Linda. Thomas and Linda arrived with watering cans and Miracle Grow for sure! Thomas taught our youth group what it meant to have a daily personal quiet time with the Lord. He taught us the importance of digging into the scriptures, talking to God, and listening to His voice. I wrote my first song when I was 14 and it came to me during my personal quiet time. I remember the first time Linda sang at church. She has always exuded a grace that I admire. She floated onto the stage and opened her mouth to sing, and I was mesmerized. I can’t even use words to adequately describe Linda’s beautiful singing. And it’s not just the sound—when Linda sings, she sings wholly and completely to the Lord, for His glory. Linda quickly took this shy, awkward eighth grader under her wing and we quickly realized that we loved all of the same songs and singers. When I was at home, I would practice for hours trying to sing a song the way Linda sang it. One time when I told her this, she said I didn’t need to sing songs the way “Linda” sang them; that I needed to sing songs the way “Paige” sang them. She always had a word of encouragement for me, and her words stayed with me, even after she and Thomas were called to another church to preach. Even now, sixteen years later, I hear her words and her song. She is a picture of how the Lord keeps us singing as we go, no matter where our journey takes us. Linda has always had a melody in her heart. Whether she is singing it or living it through her actions, her song reaches the souls of those around her. She’s had plenty of times in her life that she could’ve chosen to stop singing, but her Father has kept her singing. One of those times started in the fall of 2012, after a series of events that are not all that uncommon for women, which led to a hysterectomy. Linda recalls being tired, drained, nauseated, and in severe pain in her stomach, legs, and back off and on for several years before 2012. 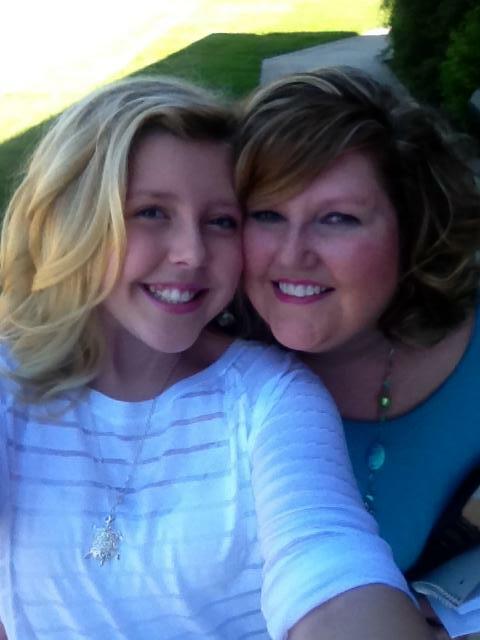 She and her doctor decided that a hysterectomy was in order to alleviate these symptoms. Once the surgery was completed, Linda’s doctor told her everything looked good, but that they were going to send samples to pathology, as was routine for these surgeries. Linda’s doctor, Dr. Mack Barnes at Brookwood Hospital in Birmingham, Alabama, developed a plan right away to fight the cancer. 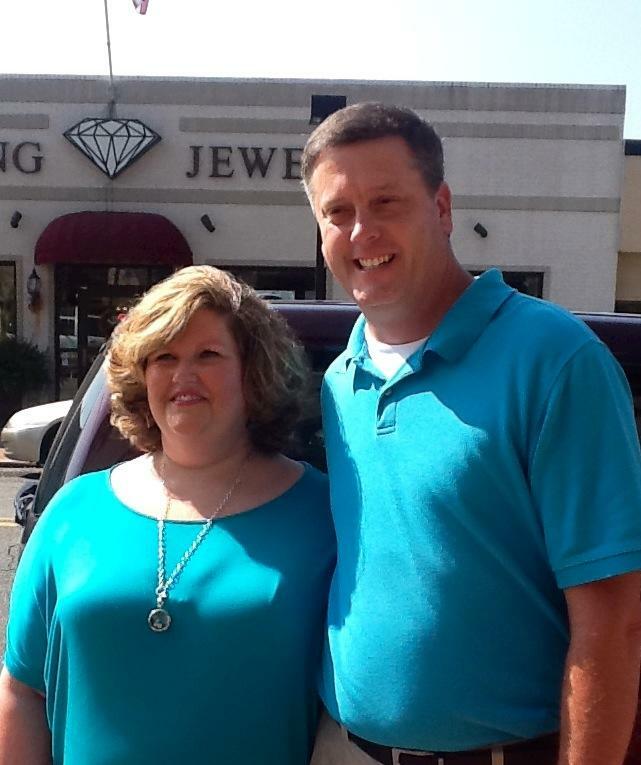 The first procedure that Linda underwent was to have a port put in. Jesus in your suffering You were reaching, You thought of me. You’re always enough for me. Linda says that the Lord ministered to her through His word and His people. The Psalms were and still are so very important to her. Her church family donated meals, money, and helped in any way needed. Her best friend, Amy, took over the planning of her daughter’s tenth birthday party in order to make it an extra special day. She even had wonderful friends who helped her with a most traumatic event…losing her hair. Perhaps one of the most meaningful ways that Linda’s family and friends helped her was through prayer. Linda with her daughter, Annelise, and her husband, Thomas at a recent event to raise awareness for ovarian cancer in her hometown. Linda’s journey with cancer is a testimony that no matter what you are going through, God can keep your head up. He still whispers a song into your heart when you walk through life’s darkest valleys. And when you feel you can’t walk another step, He carries you. I’m so grateful for my friend and precious mentor, Linda Hyche! And I’m so glad to use her story for good! If you are reading this and you feel like life’s circumstances have stolen your song, take it back, friend! God will pick you up, carry you through, and give you a new song! As Linda said, cancer is not a joke. You must be your own health care advocate. Ovarian cancer is known to be a silent killer and there are no screening tests for it. A Pap smear does not test for ovarian cancer. Know the symptoms, know your body! If you feel you have symptoms of ovarian cancer but aren’t getting answers from your doctor, talk to him/her about ovarian cancer. If you still don’t get the answers to explain your symptoms and they persist, go to another doctor who will listen. You can visit each of the sites below for information on the symptoms of Ovarian Cancer. *If you are in Alabama, this month you can visit Carol’s at the Jasper Mall in Jasper, Alabama and find symptom cards and information on ovarian cancer. Linda is at Carol’s on Thursdays from 10-3 and would love to speak with anyone willing to listen about Ovarian Cancer. 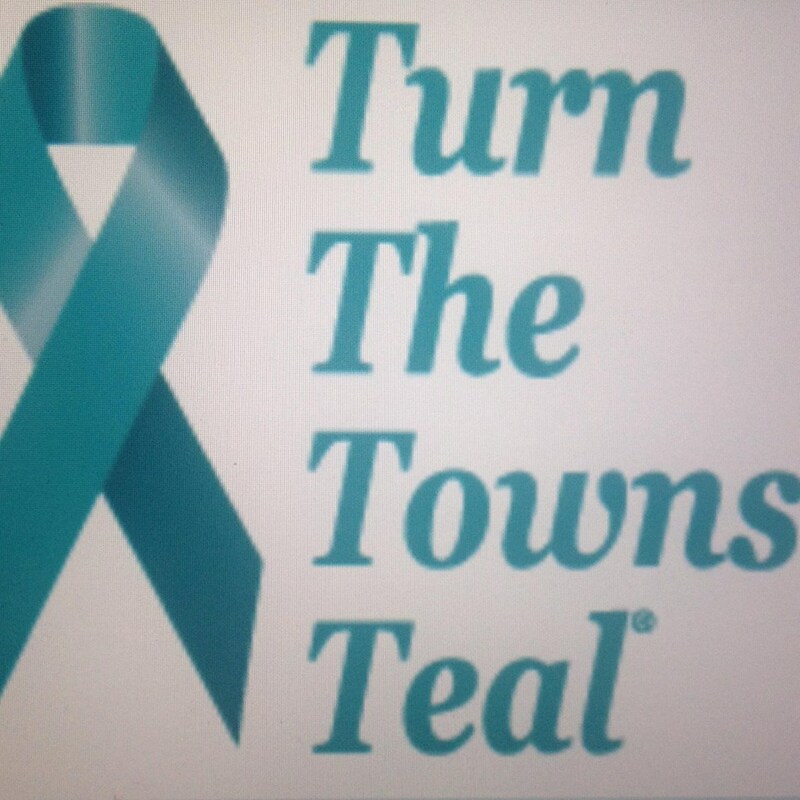 Teal is the color of Ovarian Cancer Awareness. September is Ovarian Cancer Awareness month. Though sometimes He leads through waters deep, Trials fall across the way, Though sometimes the path seems rough and steep, See His footprints all the way. Keeps me singing as I go! Take a listen, sing along, and keep singing dear friends! Joining up with faithalongtheway.com for Saturday Soiree and www.holleygerth.com for Coffee For Your Heart. This entry was posted in Uncategorized and tagged cancer, ovarian cancer, perseverance, prayer, singing. Bookmark the permalink. What an amazing woman and an all powerful God! So thankful I had Him when I lost my Mom to cancer. I don’t know how people make it without knowing God! I agree Sarah. I can’t imagine not having The Lord to turn to! What an inspiring story of faith and God’s goodness. You have a lovely voice. Music is a gift. Beautiful story of God’s faithfulness and love. Thank you for sharing it and for touching the lives of many through it. God bless you! Following you at Coffee For Your Heart. Blessings! Thank you Julie. Have a great weekend!